Remember the first Horrible bosses movie? Jason Bateman, Charlie Day and Jason Sudeikis go nuts as they try to get back at their bosses for treating them like crap. That movie tried to portray what the mainstream impression of bosses were in an office environment. And it was funny as heck. Now everyone’s back for the second installment in Horrible Bosses 2. I don’t usually look forward to these types of movies where it feels like a one hit wonder trying to capitalize on its success because they usually don’t end well. So if this had been the return of the 3 main characters and they were going to be doing the same stuff then I would have looked away from this. But.. they’re not. They went and got 2 of my favorite actors in Christoph Waltz (Inglorious Basterds) and Chris Pine (Star Trek) to be part of this and now I’m interested in it. This movie focuses on life after the first movie. They have quit their jobs and are now starting or have put up their own business. Then the conflict arises when one of their investors pulls a fast one on them, which I assume means that they will lose what they have. 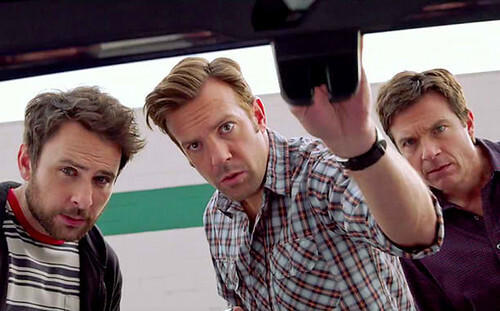 New Line Cinema's “Horrible Bosses 2,” the follow-up to the 2011 hit comedy “Horrible Bosses,” opens across the Philippines on Nov. 26, 2014. It will be distributed by Warner Bros. Pictures, a Warner Bros. Entertainment Company.